The most important advanced pilot trainer of World War II was the AT-6 Texan. The aircraft was so good and so popular, that it was used by many different service branches and many different countries. Our aircraft was one of those built for use with the Navy during WWII. A much more advanced and challenging airplane than the BT-13, pilots who earned their wings on this great aircraft went on to learn how to fly the fighter or bomber that they would likely see combat with. 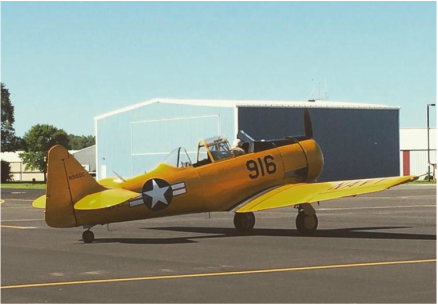 To purchase a flight at the Janesville Warbird Weekend, click below. Once your flight has been purchased, our flight coordinator will contact you to set up a time.